Concert Pianist and Harpist, Lisa Guglielmo, performs and teaches in the Chester County, Pa area. The Music Studio of Lisa Guglielmo offers private piano and harp lessons for children from preparatory through advanced level as well as adults of all ages and skill set. Lisa is a dedicated and inspiring teacher who focuses on a diverse and well-rounded approach to teaching including theory, technique, repertoire and musicianship. 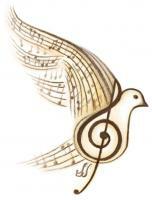 She is committed to sharing the gift and appreciation of music through the art of teaching. Her in-home teaching studios are conveniently located in the Downingtown Area School District. Clement C. Petrillo Memorial Piano Award in performance, prize winner in the Upper Darby Performing Arts Center Competition, Cafferata-Jackson Memorial Prize Auditions, JCC Young Musicians Competition, Austrian-American Society Mozarteum Scholarship Competition and the MTNA Wurlitzer Collegiate Artist Competition. As recipient of the Scholarship to Loire Valley Institute, Chinon, France, Piano Grant, she performed as soloist in Southern France. She has performed in master classes with Ruth Laredo, Gary Graffman and Erica Goodman, Canadian harpist. Currently, Lisa is a member of the American Guild of Organists, SE PA Guild of Organist, Phila AGO, MTNA, PMTA, MLMTA and American Harp Society. She has taught piano at The Darlington Fine Arts Center, The Wilmington Music School and privately since 1993. She began piano studies at the age of 8. Her principal piano teachers include: Benjamin Whitten, Susan Starr, Dr. Jacques Voois, Dr. William Carr and Charles Abramovic. 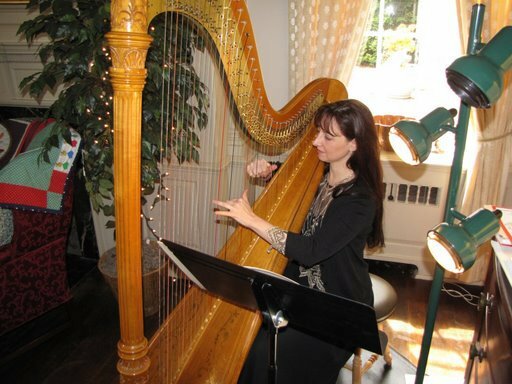 She began harp studies at the age of fourteen and has studied with Janet Witman, Gloria Galante, Anne Sullivan and Kim Rowe. She also had a private coaching opportunity with Elizabeth Hainen, Philadelphia Orchestra. She recently performed in a master class by invitation at the Curtis Institute with Shanghai Harp Center, Professor, Jason Chang, harpist. She holds a Degree in Performance from University of the Arts, Philadelphia, PA.